Have you ever gotten gifts that were more exciting to unwrap than to receive? You know what I mean. You’ve opened gifts, and been all excited, and the gift turned out to be an ugly sweater. Our kids would occasionally get gifts from relatives that were things that they really liked… three years before. A Dora the Explorer backpack would’ve been welcome in elementary school, but it just wasn’t what our junior high daughter had in mind. Over the years, I’ve seen a number of those kinds of things in all degrees of severity. Lovely gifts of wine or scotch whiskey… to friends that don’t drink, hair coloring to people who prefer natural color, a white sweater to a platinum blonde that never, ever wears white, a Bible for an atheist, and so on. But the next level is when your boss tries to do you a favor and gives you a raise and a promotion, but it means that you must sell your house and move. You interview for a new job, get hired, and move to a new city, only to discover that the company that just hired you has declared bankruptcy and your new job is gone. 1:1 In the land of Uz there lived a man whose name was Job. This man was blameless and upright; he feared God and shunned evil. If we trust God, and if we trust that God cares about us, knows everything about us, and knows everything that happens to us, then do we demonstrate a lack of faith when we wonder if God is aware, or if God cares, when we go through times of trouble? Job’s question is as relevant to us as it was to his wife, if we accept good from God how can we not accept trouble as a gift from God when it comes? Trouble, pain, suffering, difficulty, and trials are not gifts that we ask for, and are sometimes gifts that cause us to run screaming from the room, but many times, not always, but many times, these difficult situations are indeed gifts from God that are intended for a higher purpose. In Mark 10:2-16 we find a story that may give us some insight into how we accept difficulty in our lives. 10:1 Jesus then left that place and went into the region of Judea and across the Jordan. Again, crowds of people came to him, and as was his custom, he taught them. This passage seems a little odd because it starts with a conversation about divorce, but if we take a moment to consider what it meant to the people in the story, it helps us to understand it better. The pharisees were having an argument over what criteria needed to be met in order to grant a divorce. Historically, some rabbis made the case that the slightest infraction, like burning your breakfast, was enough, but others argued for a much higher standard. Jesus rightly points out that all of this came about because Moses had said that it was okay for people to divorce and the rabbis throughout history had argued over how high a standard should be met before giving permission to do so. But Jesus wades into the dispute like a bull in a china chop and upsets every vested interest, by saying that God is never okay with divorce, that it is always a sin, and that Moses only allowed it because human beings, even faithful, churchgoing humans, are a miserable, stubborn, disobedient, hardhearted bunch and would disobey God no matter what he said. Instead, Jesus says, we ought to be more like the children that came to meet them. The kingdom of God, Jesus says, belongs to people who are like children and, what’s more, if we don’t receive the kingdom like a little child, we can’t enter the kingdom at all. So, what does that mean? Let’s unpack it a little bit. Anyone who has spent any amount of time at all with children knows that children are both innocent and trusting. If you say come, they come. If you say go, they go. If tell them to do this, or don’t do that, they do what you tell them to do (certainly not always, but as a rule, they are far more trusting than adults). For our purposes today, it’s important to note that children accept teaching, rebuke, and correction from their teachers, mentors, and parents better than adults. In short, they are teachable and correctable and if we adults want to get into the kingdom of God, we need to be like them. In this passage of scripture, Jesus contradicts the teaching of the pharisees on the subject of divorce, but this isn’t unique. Time after time, Jesus makes it clear, that we aren’t as good as we thought we were. The rules are stricter, and God’s standards are higher, than we thought they were. Over and over again, Jesus makes it clear that we aren’t as perfect as we thought we were or as good as we imagined ourselves to be. But if God is so demanding, and we are so deeply flawed, shouldn’t we despair and give up even trying to be good? No. And in Hebrews 1:1-4; 2:5-12, Paul explains why. 1:1 In the past God spoke to our ancestors through the prophets at many times and in various ways, 2 but in these last days he has spoken to us by his Son, whom he appointed heir of all things, and through whom also he made the universe. 3 The Son is the radiance of God’s glory and the exact representation of his being, sustaining all things by his powerful word. After he had provided purification for sins, he sat down at the right hand of the Majesty in heaven. 4 So he became as much superior to the angels as the name he has inherited is superior to theirs. In putting everything under them, God left nothing that is not subject to them. Yet at present we do not see everything subject to them. 9 But we do see Jesus, who was made lower than the angels for a little while, now crowned with glory and honor because he suffered death, so that by the grace of God he might taste death for everyone. Paul reminds us that Jesus came to earth to provide purification of our sins before God. Jesus now rules over the angels in heaven because he suffered death for us, to pay the price for our sin and rebellion against God. Jesus was, and is, the pioneer of our salvation and rescue so that we could be made perfect through suffering. But if we read Paul’s words carefully, it says, “10 In bringing many sons and daughters to glory, it was fitting that God, for whom and through whom everything exists, should make the pioneer of their salvation perfect through what he suffered.” Paul is reminding us that Jesus was the pioneer, the first, and through him God chose to make our salvation perfect through suffering. But by using the word “pioneer,” in this way, it seems as if Paul is also reminding us that suffering was not unique to Jesus. Jesus made us perfect, in the eyes of God, through suffering, but we face our own suffering and at times, God intends for our discomfort, our inconvenience, our pain, and our suffering to change us. Sometimes, pain and suffering cause us to leave our comfort zones and discover new truths, sometimes suffering leads us to new discoveries about ourselves, about others, about our world, and about God’s mercy, grace, and love. And sometimes, our pain and suffering are the means that God uses to move us toward perfection, toward a better version of ourselves, toward the person that God created us to be, and toward the person that God needs us to become. Trouble, pain, suffering, difficulty, and trials are not gifts that we ask for, or gifts that we ever wanted. But rather than fight God tooth and nail, rather than demanding that God immediately rescue us, consider that we might want to be like little children before God and consider that God has indeed given these to us as a gift. Consider that God may intend for us to learn something from our pain. Remember that God loves us enough to sacrifice his own son, loves us enough to personally suffer the agony of persecution, flogging, crucifixion, and death. If we trust God, and if we trust that God cares about us, then we should consider that no matter what joy or sorrow, pleasure or pain, comfort or suffering, that God allows into our lives, each of them is a gift that is intended to shape us into something better. How many of you have ever seen the 1976 movie, “Rocky” starring Sylvester Stallone? We might be missing some of our younger friends, but I would think that by now, most of us have seen it, if not in movie theaters, then on television or on Netflix, or video, or something. In any case, at the beginning of the movie, we learn that Rocky is a down on his luck, amateur boxer and to emphasize just how far down he is, we see that he makes extra money as a collection agent for a local loan shark. The trouble is, he is too nice and gets in trouble for not breaking someone’s thumbs as he was told to do. That is typical of how loan sharks have appeared in movies and television for years. When you fall behind in your payments to a loan shark, some big thug pays you a visit and reminds you, often violently and painfully, that you are expected to pay what you owe. And if you think about it, that’s something of a common theme in our lives. We get letters from the bank, and the utility company, and the department store, and the credit card company, the Internal Revenue Service, and all sorts of other places every month that urgently remind us, just as forcefully and only slightly less threateningly, that we are expected to pay what we owe. 26 Then the Lord said to Moses, “Stretch out your hand over the sea so that the waters may flow back over the Egyptians and their chariots and horsemen.”27 Moses stretched out his hand over the sea, and at daybreak the sea went back to its place. The Egyptians were fleeing toward it, and the Lord swept them into the sea. 28 The water flowed back and covered the chariots and horsemen—the entire army of Pharaoh that had followed the Israelites into the sea. Not one of them survived. All along, the god of Abraham has been a god of miracles. He introduced himself to Moses by appearing in a burning bush, gave Moses a staff that turned into a snake so that he could re-introduce himself to the Pharaoh as a person of power, then brought about ten plagues to afflict Egypt until Pharaoh finally consented to allow the Israelites to leave, and finally leads and protects the Israelites with a pillar of cloud and fire. And now, when it seems that hope is lost and the Egyptian army will either kill them or return them to their captivity, God creates a dry pathway through the sea through which the Israelites cross safely and in which every single Egyptian soldier dies. God has done all these things, and yet he still promises more. God still intends to keep his promises and lead Israel into the Promised Land where Israel can become a great nation and rule over themselves. And in exchange for all of these miracles and the display of all of this power, what is it that God wants in return? What will be required when God asks Israel to pay what they owe? God’s generosity toward Israel is a gift and comes not from a desire to be repaid, but from the love that he has toward his people and the honor that God has in keeping the promises that he made to Abraham, Isaac, and Jacob. The only thing that God gets in return for his generosity… is trust. But God does want something in return for his goodness. In Matthew 18:21-35, Jesus explains. 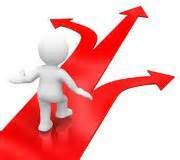 23 “Therefore, the kingdom of heaven is like a king who wanted to settle accounts with his servants. 24 As he began the settlement, a man who owed him ten thousand bags of gold [ten thousand talents – about 20 years’ wages for a laborers wages] was brought to him. 25 Since he was not able to pay, the master ordered that he and his wife and his children and all that he had be sold to repay the debt. The story of the Exodus told us that the people of Israel put their trust in God, and Jesus is clear that a part of trusting God is forgiving others in the same measure that we have been forgiven by God. The debt that God has paid on our behalf is astronomically more than we could ever repay and while God does not send thugs to threaten us to pay what we owe, he does insist that our forgiveness flow down to the people we live with and work with every day. So important is this principle, that Jesus warns us that failing to forgive others and treating them harshly, will cause God to judge us with the same measure and lack of forgiveness with which we treat others. Finally we come to Romans 14:1-12, where we find Paul’s explanation of how we are to honor God. 5 One person considers one day more sacred than another; another considers every day alike. Each of them should be fully convinced in their own mind.6 Whoever regards one day as special does so to the Lord. Whoever eats meat does so to the Lord, for they give thanks to God; and whoever abstains does so to the Lord and gives thanks to God. 7 For none of us lives for ourselves alone, and none of us dies for ourselves alone. 8 If we live, we live for the Lord; and if we die, we die for the Lord. So, whether we live or die, we belong to the Lord.9 For this very reason, Christ died and returned to life so that he might be the Lord of both the dead and the living. We are called to accept those people whose faith is not as strong as ours or whose understanding of scripture, at least in non-essential theology, leads them to a somewhat different interpretation than ours. In Paul’s time, particularly because most meat was sold by butchers who cut, and resold, meat that had been sacrificed to idols, some Christians felt that it was a sin to eat meat. Others felt that since idols weren’t real, that the meat was not “tainted” in any way and was acceptable to eat. Paul’s advice was that these two groups should respect one another and not treat one another with contempt. This idea of contempt and respect is important and it comes up again later in this same passage. Paul also addresses the issue of which day should be a holy day because believers had come to worship on different days. Just as Jews, Seventh Day Adventists, and a few others worship on Saturday, while most Protestant churches worship on Sunday, and Catholic churches often have worship on both days. Paul points out that what is important is that both groups are, in their own way, attempting to honor God. In fact, the same thing applies to the people that were arguing over meat, each group was, in their own way, doing their best to honor God in the way that they understood scripture. And this is where Paul returns to that idea of contempt and respect, but here he asks why people judge one another. This is a little puzzling because only last week we heard Paul say that we should take someone aside if we see them falling in to sin, but here he tells us that we should not judge a brother or sister in Christ. How can we understand how these two ideas are not in conflict? If we look closely, Paul associates judgement with contempt and he is also careful to note that these arguments were over what he calls “disputable matters.” In that regard, it is important for us to distinguish between judgement and discernment, and also between sin, and disputable matters. Paul wants to be sure that the followers of Jesus do not fall into sin and that we do the things that God has called us to do and avoid those things that God has called sin. At the same time, Paul understands that not every dispute is critically important theologically. We are called to be discerning over which disagreements are simply disagreements, and which are clear matters of God’s instruction. In Paul’s time, some believers thought that eating meat was a sin and others didn’t, while some believed that worshiping on one particular day of the week was critical, while others didn’t. Today we have similar disagreements between fellow believers. Methodists believe that everyone should be invited to share at the communion table, while Catholics do not. We believe that it is possible to turn you back on God and lose your salvation while our Baptist friends do not. We believe that each individual has the free will to choose whether they will follow Jesus or not, and our Calvinist friends would describe that choice as predestined by God. The followers of Jesus Christ have many theological disagreements over things that Paul might describe as “disputable matters” or that John Wesley might have described as “non-essentials,” but although we disagree, we are not to judge one another in such a way that we treat one another with contempt. In the end, Paul reminds us that each of us will eventually stand before God and give an account of our lives. And although we may disagree on how it is to be done, we must all do the best that we can to bring honor to God and to follow his commands. We must all do the best that we can to treat one another with respect even when we disagree about what things are, and are not, important. And all of these things are important because God has done so much for us that we can never hope to repay our debt. But what God wants in return is for us to forgive others and show mercy in the same measure that God has forgiven us and has been merciful toward us. What God wants is for us to trust him enough to live as if scripture matters. I wrote Sunday’s message, “The Test”, long before the verdict in the Zimmerman trial was announced and yet, the parallels between these events and scripture reading were worth noting. In the parable of the Good Samaritan (Luke 10:25-37) a religious lawyer seeks to use Jesus to assure himself that he is good enough to go gain eternal life. The lawyer and Jesus agree that the two fundamental criteria are 1) to love God and 2) to love your neighbor, but that isn’t good enough and so he asks Jesus “Who is my neighbor?” In the time of Jesus, rabbis had differing opinion over who qualified to be a “neighbor” and these opinions ranged from friends and family, up to including anyone who was Jewish. This man was hoping, even expecting, that Jesus’ opinion would be similar so that he could declare himself “good enough.” But Jesus goes an entirely different direction. Jesus tells this story of a man who was brutally robbed, beaten and left for dead in the wilderness only to be rescued by a Samaritan. For many of us, this may also require some explanation. Long before the birth of Jesus, the Jews and the Samaritans hated one another with a deep and abiding hate. Regardless of whose version of history you believe, hostilities between the Samaritans and the Jews dated back to the Old Testament, perhaps a thousand years or more. Over the centuries, each side had attacked the other and had desecrated or burned the others’ temple. A great many had been killed on both sides. The only reason that the two groups were not fighting one another in the time of Jesus was that the Roman army was there to make sure that they didn’t. In this environment of hatred, Jesus tells a story in which the Samaritan enemy was the hero and tells the man that even his enemy is his neighbor. Jesus’ command is to “Go and do likewise.” As followers of Jesus the command to “Go and do likewise” instructs us to show mercy to people we’ve never met, to share what we have with people who can’t do anything in return, to help people who aren’t like us, people who don’t like us, and even to people whom we consider to be our enemies. It was a tough pill for that lawyer to swallow and it isn’t any easier for us today. The parable of the Good Samaritan has always been, and will always be, difficult to put into practice. If we measure the events surrounding the death of Trayvon Martin by this standard we find that everyone failed. 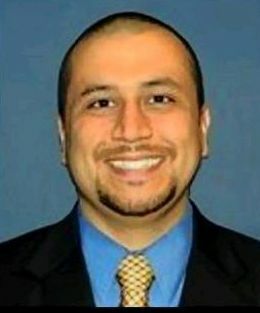 Both George Zimmerman and Trayvon Martin failed when they chose to be suspicious and hostile and to engage in a brutal brawl on the ground rather than try to explain, discuss or walk away. Both men assumed the other was his enemy. The news media when they looked first for sensational headlines before reporting the facts. 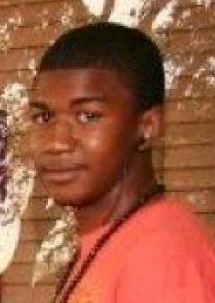 Others failed because they were looking for an enemy and assumed that this violence was somehow different, that this murder was somehow more notable than the other thousands of young people who have been victims of violence since Trayvon Martin died. Finally, the church failed. We have known the story of the Good Samaritan since we were children. We know that Jesus taught us to love our enemies and to do good to those who persecute us. And yet, even now, in the midst of this tragedy, the followers of Jesus Christ, both black and white, look to place blame and to see an enemy in others, rather than demonstrate mercy, compassion, and forgiveness. For the church, this case cannot be about who is right or who is wrong. A wedge has been driven between two groups who already saw the other as the enemy. Instead of arguing over who was in the right, we must find ways to avoid this sort of violence that kills young men and women every day in Sanford, Florida, New York, Washington D.C., and all across our nation. We must find ways to teach the things that Jesus commanded us to teach. We must show mercy to people we’ve never met, share what we have with people who can’t do anything in return, help people who aren’t like us, people who don’t like us, and even people that we consider to be our enemies. We are called to be agents of healing instead of division. We must love our enemies, do good to those who persecute us, and yes, we must love our neighbors. I used to support the death penalty. After all, that’s what good Christians did, right? Murderers received what they had measured out to others. The death penalty was in the Bible and that was good enough for me. But as the years went by, I began to wrestle with facts and ideas that didn’t fit. It took time, years, even decades before I realized that I was changing my mind. Even then, as a member in, and then as a pastor of, conservative congregations, I didn’t talk much about it. The Death Penalty is Not a Deterrent–Crime statistics in places where there is a death penalty are not statistically different from places where there is not. Cost – It costs more to incarcerate a death row inmate. Prisoners convicted under a death penalty statute are granted mandatory appeals and that process is expensive. 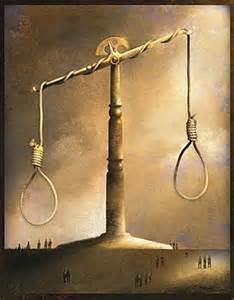 Estimates are that a death penalty inmate costs 2 to 5 times more over his or her lifetime than one who is incarcerated for life. 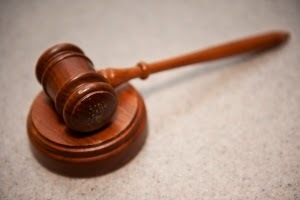 Fairness and Justice – The scriptural standard of evidence, particularly for murder, was from the beginning (Deuteronomy 17), two eyewitnesses. In our modern world, having two witnesses is rare. Mistaken identity is now one of the leading causes of error in our legal system. Add a host of other errors, and suddenly a lot of people find themselves wrongly convicted. For the last decade or so, an average of 18 death row residents per year were cleared by DNA evidence. It’s so bad, that nationwide, a Columbia University study found serious errors in 68% of all death penalty cases and 2 out of 3 death penalty cases were overturned on appeal. Of those overturned, 82% were retried on lesser charges. Granted, no system is foolproof, but when ours is so messed up that we get it wrong 2 out of 3 times, its time to try something else. Consistency – The church is usually among those who proclaim the sanctity of all life and declare to the world how God loves all people. If we really believe that, then why is the life of a murderer not just as sacred? Does God love murderers less? Grace, Forgiveness and Redemption – If we believe (and I do) that the Gospel message is all about grace, forgiveness and redemption, how do we justify the state sponsored killing of incarcerated criminals? Where’s the grace and forgiveness in that? How can God do a work of redemption in someone’s life when they’re already dead? If we believe that God can change the hearts of human beings, then why are we so quick to assume that these men and women are unredeemable? As I wrestled with these questions, I realized that I didn’t have any answers that could make my continued support of the death penalty make any logical or spiritual sense. That doesn’t mean that there isn’t a part of me that thinks the perpetrators of particularly horrible crimes shouldn’t die in some particularly painful way. What it means, I think, is that I’m beginning to understand the difference between retribution and justice. Pearl Harbor – A Story of Forgiveness and Salvation? Seventy-one years ago today the Japanese navy, led by 36 year-old “top gun” pilot of his day, Mitsuo Fuchida, attacked Pearl Harbor, Hawaii. The surprise was nearly total and the destruction was immense both physically as well as to the psyche of the United States. 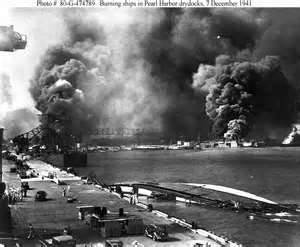 The Japanese admiralty expected that such devastation would compel the United States to sue for peace and stay out of their plans for expansion in the Pacific. Instead, our nation was filled with a “terrible resolve.” Our reaction was not to surrender but to get even. The death and destruction (on all sides) that spread across the Pacific and around the world was nearly incalculable. Tens of thousands, even hundreds of thousands of men and women went to their deaths for reasons that, even now, are difficult to explain. For his part, Mitsuo Fuchida, was plagued by the death that he had witnessed and that which he had been a part of and he struggled to find a way to bring a message of peace to the world. A friend who had been a prisoner of war in the United States, told him an amazing, almost impossible, story that revealed a way toward peace. Later still he encountered the message of Jacob DeShazer, a B-25 bombardier captured by the Japanese after the Doolittle raid. DeShazer, despite being treated horrifically during his imprisonment, had learned an amazing lesson as well during his confinement. He traveled to Japan and spoke in venues across the country telling of the peace that he had found in their POW camp.